Our clinical procedures and technology are constantly reviewed and upgraded to provide advanced services and positive outcomes. Recent technology and procedural advances include the Kodak 9000, surgical operating microscope, ultrasonics, Gentlewave cleansing, and biocompatible sealer materials. The Kodak 9000 takes a 3D x-ray (CBCT scan) allowing enhanced diagnosis of difficult cases for better clinical outcomes. It is a highly useful tool for viewing hidden canals and other anatomic anomalies, and for assessing re infected root canals prior to retreatment. The surgical operating microscope allows the doctor to see hidden canals, cracks and internal leakage on existing restorations that impact case evaluation and treatment outcome. Ultrasonic instrumentation combined with the microscope greatly enhances detection and cleansing of canal spaces that might otherwise be missed. The GentleWave® Procedure delivers a broad range of sound waves within the complex anatomy found within the tooth in concert with continuous fluid delivery. In a matter of minutes, this procedure results in complete cleaning and disinfecting of the entire network of canals. The incredible effectiveness of this system also allows us to conserve more tooth structure than ever before. It presents a major advancement that helps us achieve our goal to effectively clean a tooth’s entire root canal system, no matter how complex with minimal tooth damage. The root canal system consists of intricate channels for the nerves and blood vessels. Once Gentlewave has completely cleaned the canal system it can be filled more effectively with a special bio ceramic sealer that mimics tooth structure. Together they produce a thoroughly cleaned and sealed root canal that is more likely to remain strong and healthy for a lifetime. We are always evaluating technological advancements and incorporating them into our practice when we believe that doing so will help us provide a higher level of care than previously possible and help us save more teeth for more of our patients. We look forward to serving you well! We strive to improve the quality of all office operations through courteous service, training and technology. Our office electronic records system allows fast and accurate communication with you and your general dentist; always keeping your dentist apprised of treatment progress and completion. Computerized patient records also allow our office to better communicate with your insurance company; improving accuracy of coverage verification, filing insurance claims electronically, and reducing the turnaround time for insurance claim processing and patient reimbursement for insurance. Financially, we offer a 10% reduced fee for new root canal services if all charges are paid in full at the time of treatment. The 10% discount does not apply to examination and x-rays, endodontic re treatment cases, tooth restorations such as fillings and build ups, or if we file a claim for dental insurance. Convenient personal payment options include most major credit cards, Care Credit and personal check if guaranteed by major credit card. Ultimately the patient/guarantor is responsible for payment of all services provided by our office. Payments via our secure web portal cannot be reversed. Any refunds or reimbursements due patient/guarantor/patient are made promptly once treatment is complete and all services have been paid in full. For dental insurance cases we request payment of half of all charges at the time of treatment to cover all possible deductibles, co pays or unanticipated reduction in benefits. We will electronically file your insurance claim for you and promptly refund any overpayment after receiving full payment from your insurance company. Contact us either by e-mail or phone at 770-794-7117 for a consultation and evaluation. For directions to our office, please click HERE. 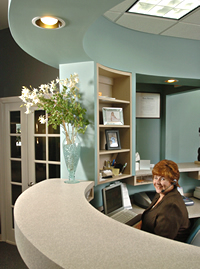 Root Canal Place is dedicated to providing our patients with outstanding services. As such, we've partnered with CareCredit lending to help you get the care you deserve. We also accept VISA, Mastercard. Discover and American Express credit/debit cards. Click the logo below to learn more. Click the pay now button for a convenient, easy and secure way to pay your bill online. When you click the link below you will be directed to a secure site where you may make a payment to Root Canal Place.